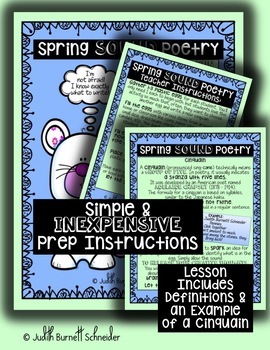 Help your students get over the fear of writing poetry with this simple and engaging activity. You will fill plastic eggs with various items that will make a sound when the egg is shaken. 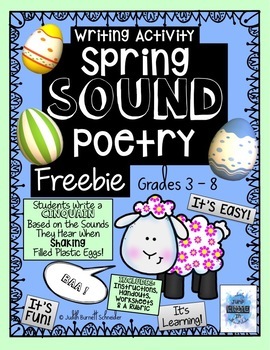 Students will choose an egg, shake it, then CREATE! 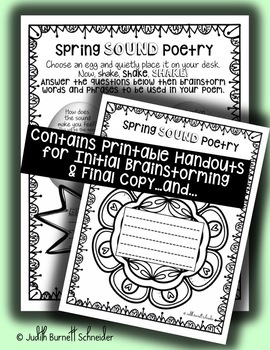 Instructions and an example show how to write a cinquain poem inspired by the sounds in their eggs. 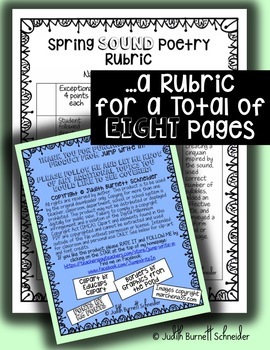 This product includes handouts, a brainstorming worksheet, a final copy worksheet, examples, a rubric and so much more! Students love this activity so much that they often want to choose another egg, then shake and create a new cinquain!